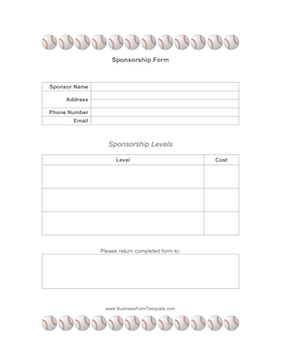 Customizable form for you to send to potential sponsors. Fill in the sponsorship levels and the cost for each. Complete with images of baseballs on the top and bottom of the page.